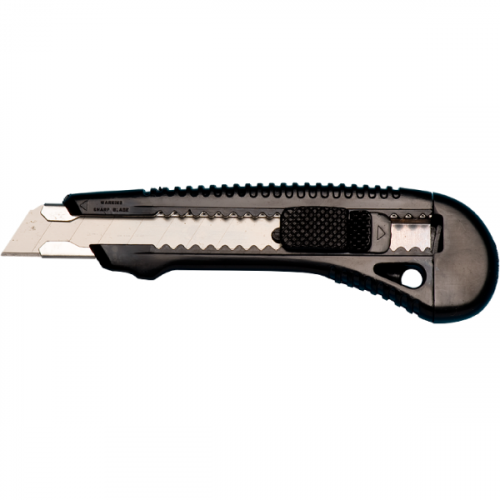 Ultra Rugged Steel Heavy Duty Box Cutter. Has plastic coating for user comfort. Designed for the toughest cutting applications. 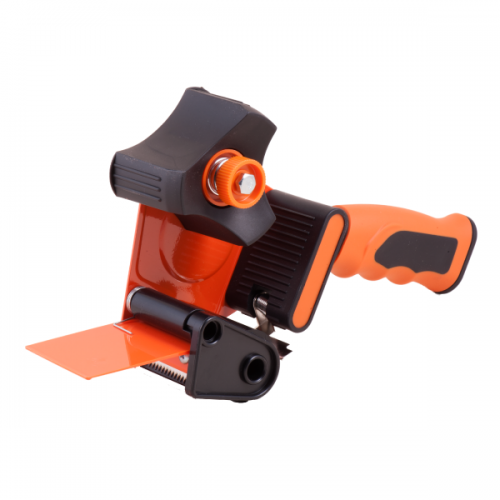 Perfect for warehouse, industrial, trade show, construction and many other applications. Ultra Rugged, Industrial, Retractable, Snap Off Blade Box Cutter. 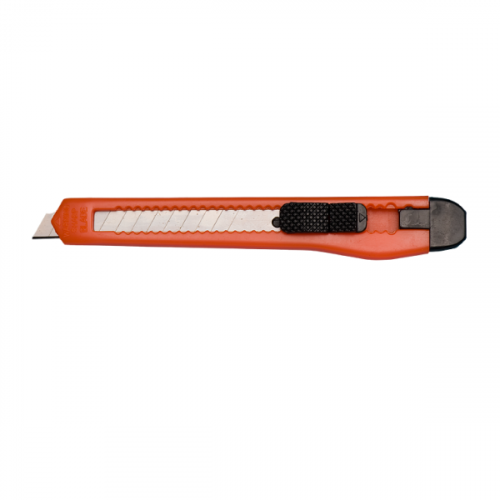 An ultra rugged steel cutting tool with a protective and comfortable thick, plastic jacket. Constructed for the toughest, heavy duty cutting applications, the Model - T is perfect for all warehouse, industrial, and construction jobs. No tools are required for blade changes and utilizing an 8 point snap off blade, a new cutting edge is only a snap away. Uses Tach-It Style B-8 Blade.